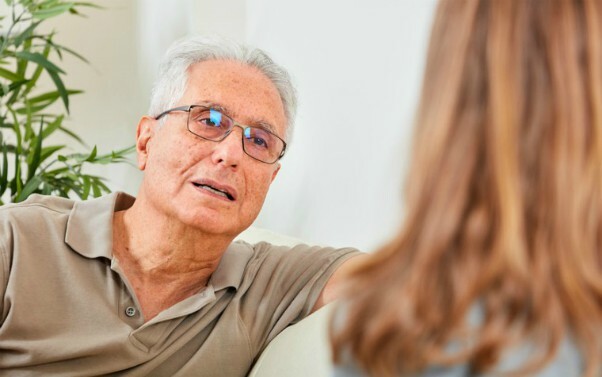 This article comprises of tips taken from two quick guides on Community Care Inform Adults about taking a strengths-based approach to assessment questions and difficult conversations. The guides are written by Mel Gray and Leanne Schubert from the University of Newcastle, Australia. Subscribers can find the guides as well as other resources on the strengths-based practice hub on Inform Adults. What problems bring you in today? What led to you being referred for assessment? What do you want to accomplish during our conversation today? What concerns of yours do you want to address and change as a result of this assessment? What can we work on together to achieve what you want for your life (and that of your carer or family)? What are you wanting for yourself right now? What is important for us to speak about today that will help me appreciate your circumstances and to learn about you, your abilities, your strengths, your preferences, and hopes for your life? Beginning an assessment with engagement and relationship building invites curiosity regarding the person being assessed. It is important to acknowledge that individuals in need of care continue to hold many strengths and retain capacities for learning, growth, and change. Ask yourself what makes this person unique, and seek to uncover the answers to this question. What are the things that are working well in your life? What aspirations and hopes do you have for the coming days, weeks, months or years in relation to your circumstances and needs? What is it that helps you get by when things are difficult? Taking a strengths-based approach does not exclude the need to engage in difficult conversations. These are conversations in which negative information (bad news) must be delivered in a sensitive manner and strong emotions arise and need to be managed. Consider the key points you want to communicate and be heard. Determine what you might say and how you might say it. Make a plan of the main points you need to convey. If you have time, jot these ideas down. This will help you remember critical information that needs to be conveyed even in the heat of the moment, should tensions flare. Identify the strengths the person holds that you might highlight in this conversation and have some ideas about how they might draw on these strengths to move through and beyond the difficult conversation. It may be helpful to role play any scenarios you anticipate feeling confronted by with a colleague or supervisor. This will help you to develop a range of possible responses to the challenges you anticipate. Discuss alternatives that may assist you to diffuse the anticipated difficult conversation and develop ideas about how you might best respond. Help generate strengths-based responses appropriate to the person you are working with and their particular circumstances. Address any tensions or fears you hold about the upcoming interaction. Raise any limitations or gaps in your knowledge and skill in dealing with difficult conversations and develop a plan to help you progressively address these. Busy day-to-day practice may mean this is not possible. In these circumstances, rehearse how you will open the conversation and the key points in your mind en route to the visit. Raise the issue as soon possible, deal with it, don’t put it off. Difficult conversations have the potential to escalate if not dealt with promptly. Once fully prepared, arrange an appropriate place and time to hold the conversation where you will not be rushed and disturbed that affords adequate privacy. i liked the point raise the issue deal with it dont put it off.